PICKTHAL: And man saith: What aileth her? SHAKIR: And man says: What has befallen her? YUSUFALI: For that thy Lord will have given her inspiration. PICKTHAL: Because thy Lord inspireth her. SHAKIR: Because your Lord had inspired her. YUSUFALI: On that Day will men proceed in companies sorted out, to be shown the deeds that they (had done). PICKTHAL: That day mankind will issue forth in scattered groups to be shown their deeds. 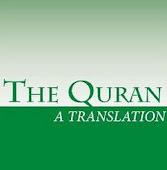 SHAKIR: On that day men shall come forth in sundry bodies that they may be shown their works. YUSUFALI: Then shall anyone who has done an atom's weight of good, see it! YUSUFALI: And anyone who has done an atom's weight of evil, shall see it. PICKTHAL: And whoso doeth ill an atom's weight will see it then. SHAKIR: And he who has done an atom's weight of evil shall see it.